Little India is a hot topic right now. There is a new Bill that might go into effect for a year in Little India. Is Little India’s culture going to change? What about its landscape? How will this Bill ensure security? What is the impact of what is going on in Little India for all of Singapore? 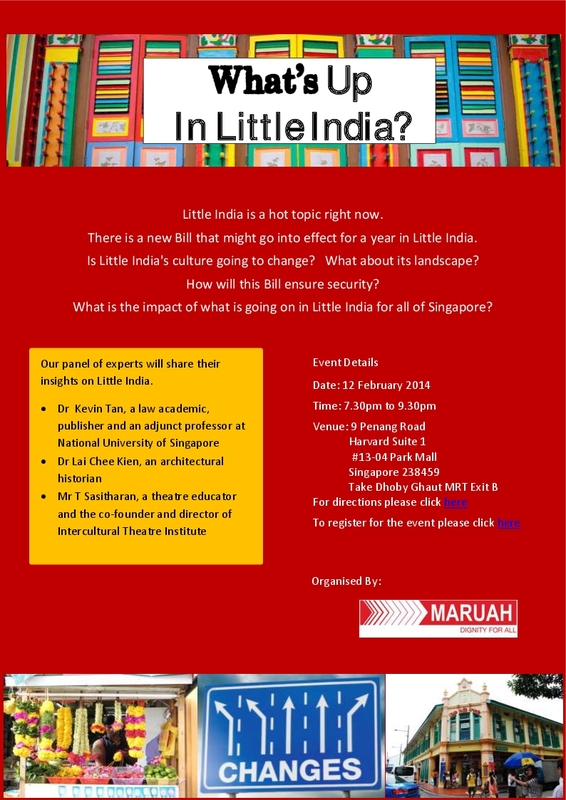 Our panel of experts will share their insights on Little India. Please help us spread news of the event by sharing it with those in you network. This entry was posted on Wednesday, February 5th, 2014 at 4:05 pm and is filed under Events. You can follow any responses to this entry through the RSS 2.0 feed. You can leave a response, or trackback from your own site.